Audio: "The Man in Black"
Δελτίο τύπου: «In 2009 the Florida-originated Artizan unleashed -just a year after their formation- a self-released and -titled debut-EP, which reached great success in the Underground-scene. 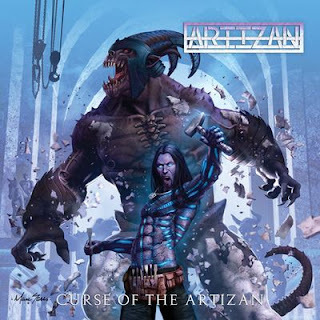 In 2011 the first complete album "Curse Of The Artizan" was released, which consistently continued the class of the progressive, pathos-dripping and extremely melodic US Metal sound. It caused some euphoric reactions from the press and fans, because the band has a completely independent sound up to this day.